Western science has discovered that when people are heavy thinkers, when they worry a lot, are full of anger, jealousy, hatred, or other negative emotions, their brain activity can consume 80 percent of all their total body energy. The brain is a heavy user of energy and when it begins to use its energy, it doesn’t stop if it is not told to. The rest of the body has only 20 percent of its energy to use for all the other intricate functions needed for daily activity. You can imagine why at the end of the day most people go home and “veg out” in front of the television. There is no energy in the body left to do anything. One of the things that many religions have tried to do through meditation is to discover how to stop people from thinking. How do you stop the monkey mind from spinning constantly? In this chapter, we will introduce you to the monkey mind concept, how to recognize it when it begins, and how to respond correctly to its perpetual activity. 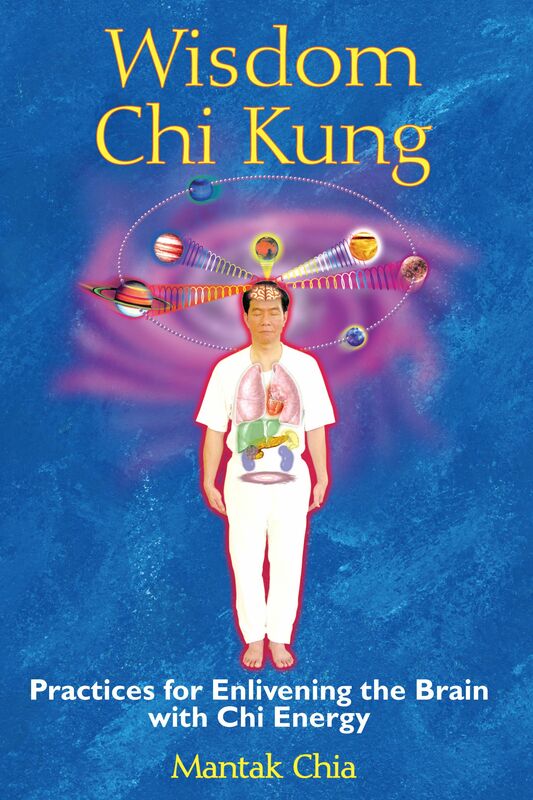 The whole secret of the Wisdom Chi Kung practice is just to smile down, relax, picture the eyes like a “sun shining on the water”; suddenly you will start to feel something like steam starting to rise from your sacrum. You will feel this energy move up and begin to charge the brain. Now, if you expand the mind out and connect with the universe, you can bring the universal energy back and store it in the organs. When that energy is transformed and charged back up to the brain, it will bring the brain functioning to a new level. This energy has been transformed and digested so that the brain can use it effectively. To begin the practice, we always learn to expand our breath before the practice begins. Any time you are sitting down for meditations this preparation is very important. We will do the spinal cord breathing in the sitting position. impedes the circulation of energy. pumping through the spine, elongating and expanding the vertebrae. just sit, breathe, rock, and smile to the spine and the organs. through the 24 stories to the cervical spine. cranial pump--and feeding energy to the brain. is very nourishing and healing for the rest of the body. warm. The heart will charge energy right into the center of the brain. "One may need a period of suspension of disbelief and some faith to follow Mantak Chia, but the quality of one's health, well-being, and energy always provides the opportunity to check whether one's efforts are rewarded. In the process, one is presented with some probing questions about the character of Western religious and scientific faith."